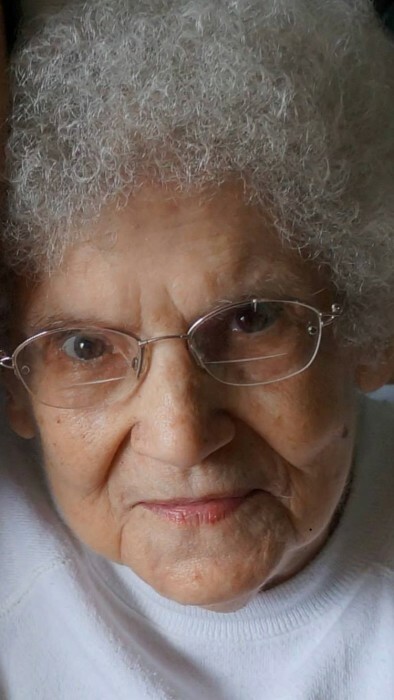 Obituary for Mary L. (Harbaugh) Swanson | Schaffer Funeral Home, Inc.
Mary L. Swanson, 91, of Defiance, passed away on Saturday, July 7, 2018 at St. Rita's Medical Center in Lima, Ohio. She was born on November 15, 1926 to the late Richard and Estella (Weisheier) Harbaugh in Johnstown, PA. On September 21, 1946 she married Cleo Swanson, who preceded her in death on September 20, 1993. Mary was a member of St. John Catholic Church, and the VFW Women's Auxiliary. Before moving to the Defiance area she worked as a sales representative at King's Department Store in Johnstown, PA. In her leisure time, she enjoyed reading and playing bingo. Her greatest joy was spending time with her children and grandchildren. Mary will be sadly missed by her sons, David (Margaret) Swanson of Defiance, Richard Swanson of Napoleon, and Mark Swanson of Jacksonville, FL, daughter, Debra Swanson of Danville, PA, 12 grandchildren, 18 great-grandchildren, brother, Ned Harbaugh of Sacramento, CA, and sister, Sharon Liska of Alum Bank, PA. In addition to her parents, she was preceded in death by husband, Cleo Swanson, sister, Phyllis Barnes, and brother, Robert Harbaugh. Visitation will be held on Friday, July 13, 2018 from 2-4 pm, and 6-8 pm at Schaffer Funeral Home in Defiance. Funeral services will be held on Saturday, July 14, 2018 at 11:00 am at Schaffer Funeral Home, with Fr. Eric Mueller officiating. Burial will follow the service at Riverview Memory Gardens. Memorials are suggested to St. John Catholic Church. Online condolences can be given at www.Schafferfh.com.